I have been on vacation for the past ten days but I am back now! Writing the next Potterview right now! I’m going to assume that everyone who likes books enough to follow a book review blog has already read the Harry Potter series. So I’ll be skipping the plot summary and diving right in! The thing I noticed the most about this book was that it was very markedly a book for children. Most of the story is full of descriptions of Hogwarts, Diagon Alley, and comedic moments with the Dursleys. While it’s very whimsical and fun, the actual plot felt a bit thin. The climax also felt a bit underwhelming. It was very exciting the first time I read it, of course. And the twist ending was very clever. But considering what I know about the stakes of the climaxes of the other books, it felt small. On the upside, I loved seeing all the characters again. It felt good to see Harry full of awe and innocence, with no knowledge that within seven years, almost everybody he loved would be dead. Ron was funny, and I loved tiny, bossy Hermione. It was even fun to see Neville try to fight Malfoy, knowing that soon, he would fight Voldemort. This review is short, but the book didn’t leave much of an impression. I love the whimsy of this book, and the world Rowling has created, and I don’t want to disrespect it. But compared to the others in the series, it was a bit dull and hard to get through. I’m looking forward to the rest of the series, though! Note: No, this is not a book review. 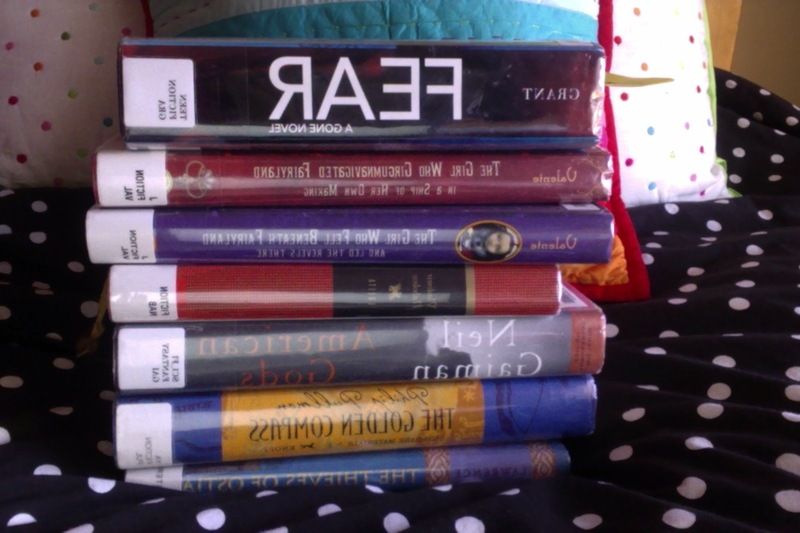 I’m going to the library tomorrow, I promise. Recently, I watched the pilot episodes of the crime procedurals NCIS and Elementary. I enjoyed both to a degree, but I would like to write a comparison to sort out my thoughts. I have not seen anything other than the pilot episode of these two shows, so if I am completely wrong about either, do not hesitate to tell me! (Spoilers for the episodes in the next two paragraphs). The pilot of NCIS involves an attempted assassination on President Bush. A man dies shortly after eating with the president. Several agencies wish to investigate the body, with Agent Gibbs of NCIS and Secret Service Agent Caitlin Todd leading the investigation. They eventually discover a terrorist plot to poison the president’s dry-cleaning. Caitlin Todd quits the Secret Service and joins NCIS. 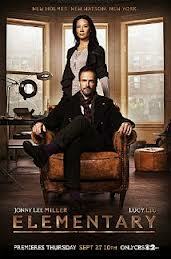 The pilot of Elementary introduces ex-drug addict Sherlock Holmes and his sober companion, Joan Watson. As it is Watson’s job to follow Holmes to his workplace, she follows him as he tries to solve the murder of a woman. She discovers that she enjoys being a consulting detective, and he discovers that it’s very helpful to have another perspective on his cases. I think the Elementary pilot was better from a character standpoint as well. To be fair, NCIS is much longer than Elementary, and has more time to develop the characters. But Elementary made me care about Holmes and Watson almost immediately. I already want to know what happened to Holmes in London, and what drove Watson out of her medical practice. The NCIS characters, on the other hand, felt like a collection of random archetypes. I really didn’t care about any of them. From a feminist perspective, Elementary is superior. Both shows are an example of the White Dude Super Detective trope (let’s be honest, if a coke-addicted black Holmes showed up at a crime scene and started licking the carpet, or an Arab Muslim Agent Gibbs had stolen an airplane, no one would let them anywhere near their cases). Both involve a brilliant man solving a case with a more average woman tagging along behind him. However, Watson has a much more active role than Todd. In fact, certain actions she takes lead directly to important information about the murderer. Also, from what I’ve heard about both shows, Todd’s relationship with Gibbs is very paternal, while Watson’s with Holmes is that of a partner. Todd looks up to Gibbs, but Watson is Holmes’ equal. All in all, I did like both shows. But I’d say I’m more excited to continue watching Elementary.